Like the look of Friendship and will maybe give Upstairs at the Party a go (loved The Clothes on Their Backs but gave up on The Cast Iron Shore). I quite liked The Cast Iron Shore but could get nowhere with When I Lived in Modern Times. I practically inhaled Upstairs at the Part but I am of a certain age! 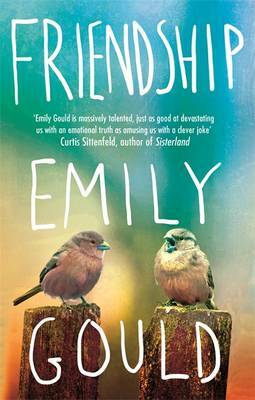 Friendship was excellent and much overlooked, I think. 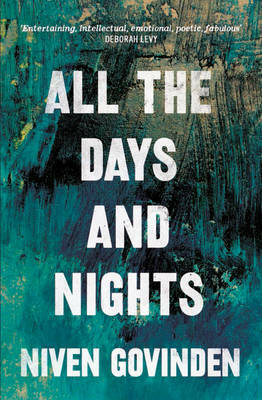 I really enjoyed Niven Govinden’s All the Days and Nights. Even though a good six months or so have slipped by since I read it, certain scenes have remained in my mind. A very impressive novel – it’ll be interesting to see what he writes next. Me, too, Jacqui. A great deal of thought about creativity and the potential for self-absorption in creators seemed to have gone in to it, all beautifully expressed. I love my monthly reminder of books I bought in hardback which I haven’t read yet! 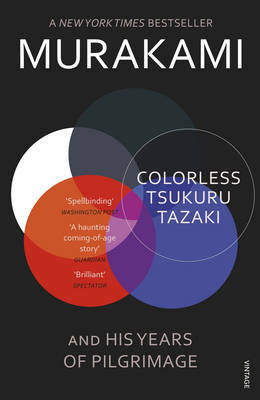 This month it’s the Murakami and Friendship. I also still have your copy of Niven Govinden’s novel which I will read soon. I read and loved Upstairs at the Party. Wasn’t a fan of The Violet Hour – too little development for me. I’m keen to read some Rebecca Makkai, both of her novels appeal. Ha! I’d forgotten all about handing over the Govinden. No rush! I think you’ll enjoy Friendship. I’m looking forward to reading Upstairs at the Party – I’ve heard lots of good things about it. Absolutely loved it, but it is my generation. It’s the only book I’ve ever read that has a legal disclaimer at the beginning and again at the end – her characters are such recognisable ‘types’ of that time that I’m not surprised the publishers’ lawyers were a bit worried!